It might seem worth at the time, but "they stole my Star!" will not hold up in court. Once one of the premium multiplayer titles of a generation, The Mario Party series has long since faded into the dreaded realm of just being a bit rubbish really. With Super Mario Party though, that finally looks set to change. Praised for exciting new modes, innovative mechanics and minigames that are actually fun this time, Super Mario Party looks set to roll back the years to the glory days of local multiplayer fun. That said, there’s a darker side to Nintendo’s franchise, and one we’d be foolish to forget. The series’ happy-go-lucky exterior belies a dangerous undercurrent of rage, unjustness and all too many ruined friendships. To play Mario Party with your mates is to put it all on the line: Glory, luck and yes, maybe even your life. It needn’t be this way though. With our help, you too can enjoy a Mario Party experience free from game-ending arguments and controller-smashing fury. There’s no beating around the bush, Mario Party can be an infuriating game. 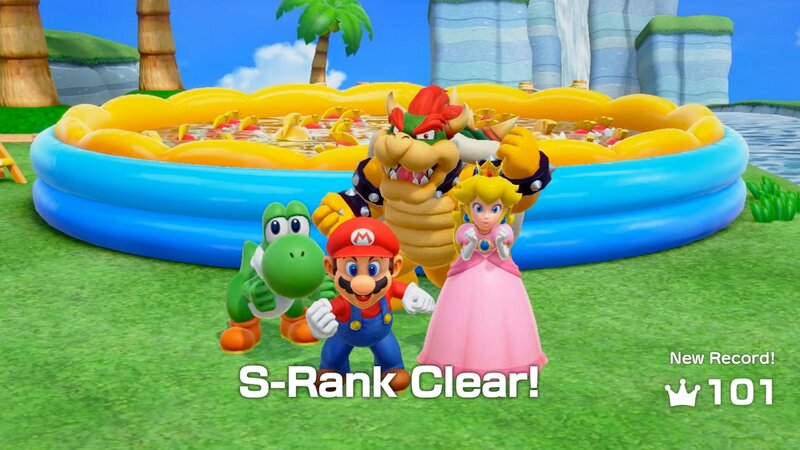 While the days of Mario Party 1’s bowser suit beatdowns and 4’s nonsensical Reversals of Fortune are thankfully long behind us, Super Mario Party still has plenty of mechanisms to max out your irate-ometer. Fortunately, we’re here to help. Simply follow the steps below and you can all walk away from the TV without the urge to use the nearest piece of furniture as an improvized weapon. Everyone knows that all true grudges start on the character select screen. This is the last time you’re going to let Peter pick Princess Peach first, leaving you to take Daisy — a poor facsimile of the real royal deal. You know who wants to play as Daisy? No one, that’s who. The solution? Enforced character randomization. That way no one gets slighted, and everyone starts out equally unhappy, just the way it should be. Okay, let’s start things off gently with a simple game of jolly cooperation. 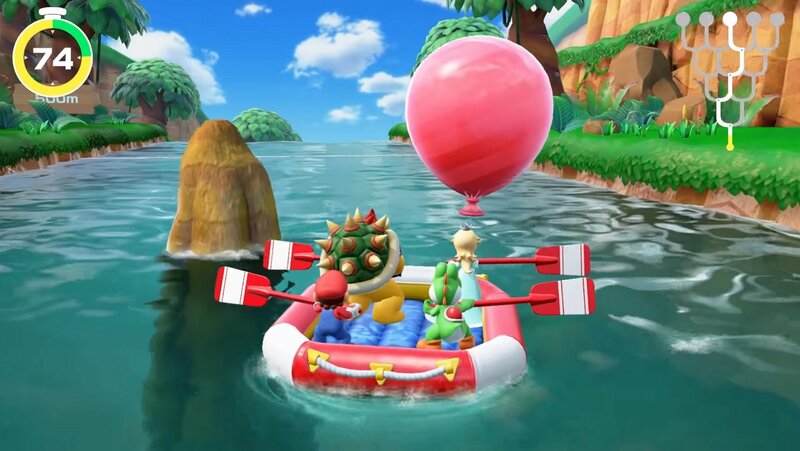 Super Mario Party’s River Survival mode should hit the spot, letting you work together to guide a raft down a forking river of boosts and minigames. You definitely remember establishing yourself as the captain before starting, but now Amir keeps “accidentally” paddling into rocks and laughing. This isn’t a joke Amir. Wait, has Josie just put down her Joy-Con to take a drink? Who do they think is even paddling this thing? While the idea of leaving a Joy-Con-sized dent in your pal’s noggin may be tempting, take a moment to try this simple mental exercise: Imagine flowing water. Much like life, Mario Party can be thought of as a gentle river cruise, but sometimes you’ve got to make it through the rocky rapids to enjoy the smooth sailing beyond. We find it helps to imagine your friends falling overboard too. A total "accident" of course Not working? Maybe you’d be better off playing the main mode. At least there you stand a chance of winning something. What you’ve just experienced is known as Mario Party syndrome. It can happen to the best of us, and no amount of minigame skill can protect you. Remember, there are plenty more stars in the game and your luck is sure to turn soon enough. After all, it’s called the Gambler’s Fact for a reason. Fallacy? Sorry, we don’t speak Latin. 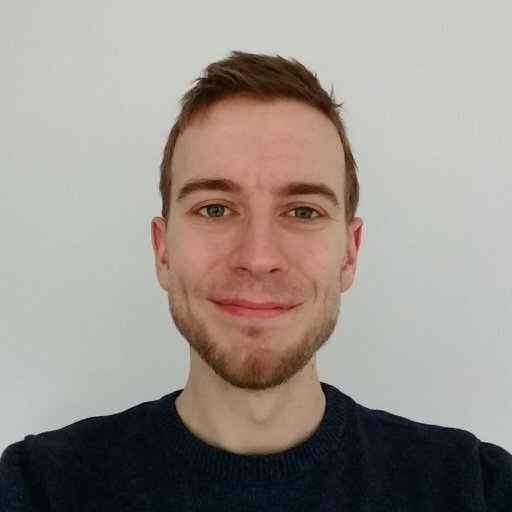 It’s time for a 2v2 minigame showdown, and you need to work together with Dave to build an image of Donkey Kong’s face faster than the others. What do you mean Dave’s never played Donkey Kong? Who doesn’t know what DK looks like? Dave, apparently. You’re trying to tell him where that eyebrow goes but he’s not really listening. No, It's not a mouth Dave. Why won’t he just listen? Remember, Mario Party may be rated E for Everyone, but that doesn’t mean your party has to abide by the same rules. Quite frankly we’re not even sure why you invited Dave in the first place, he didn’t even bring any snacks. There’s an easy, non-violent solution here, and all it takes is a short trip to the door. Why is everyone looking at you like that? It was for the greater good. This is it., the final turn, and in spite of everything you’re still one star in the lead. All you need to do now is await your well deserved trophy. Hang on, what’s that in Pete’s hand? 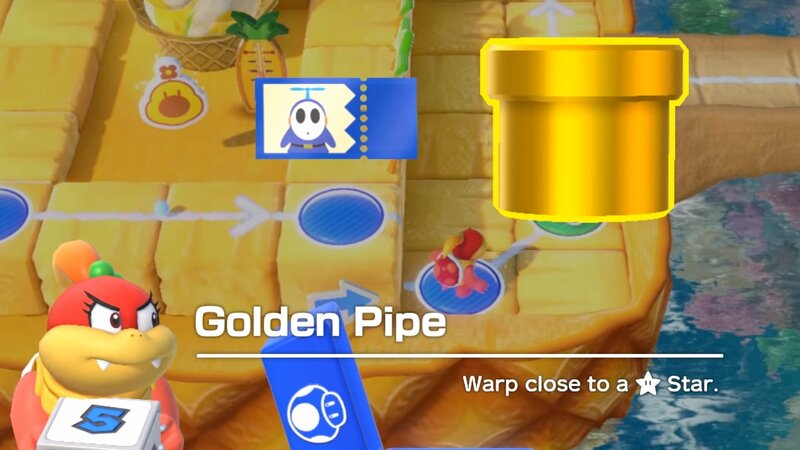 A golden warp pipe that takes you directly to the star. You have got to be joking. You know what, that’s fine. You’re still ahead in coins anyway, everything is fine. Except no, what exactly is Joanna doing with that Lakitu? No, no, no - she’s stealing your star! This isn’t right, she can’t even win with it anyway, why would she do such a thing!? Are you sure you consider these people your friends? We’re sorry, but it’s clear now that they’re all conspiring against you. Enough is enough, they’ve all got to go or someone’s going to end up halfway through a wall. Mario Party was always better solo anyway. What do you mean the new Challenge Road mode’s garbage? Oh sod this we’re going back to Fortnite. Super Mario Party releases tomorrow, October 5, on Nintendo Switch.